This pattern is available for digital download. However, if you are unable to download or would prefer a printed version, please contact the office on 01535 664500 or websales@wyspinners.com and we will be happy to post it out to you. 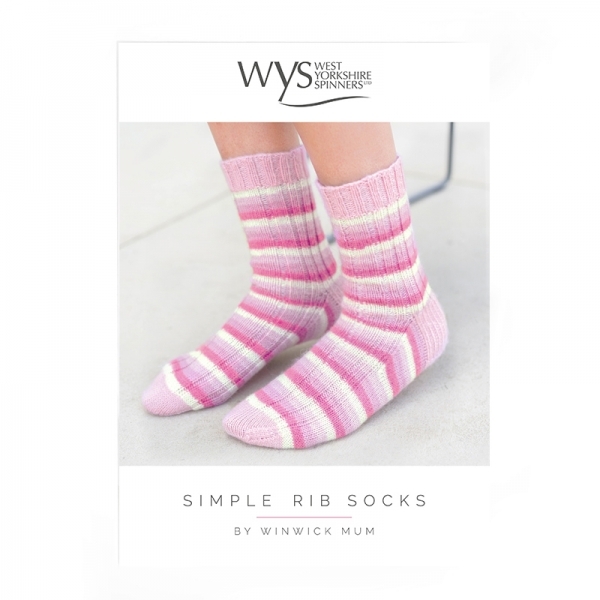 Our Simple Rib Sock pattern designed by Winwick Mum is suitable for beginners. 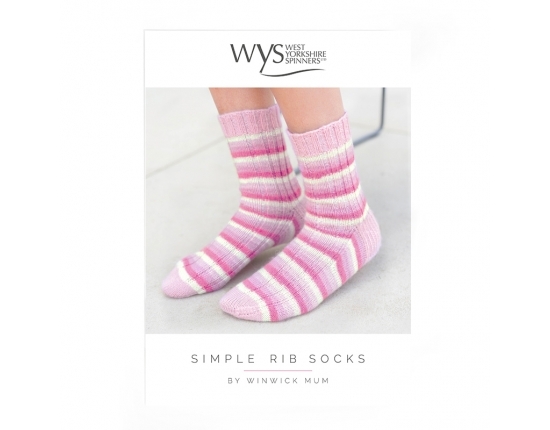 This pattern will show you how to make ribbed socks with a durable and cushioned heel. Create striking and cosy socks for both men and women. Please note, this pattern is for a medium sized sock approximately 8 inches however the length of the sock is easily adjusted for larger feet. This pattern uses 1 x ball of Candyfloss Signature 4Ply for the plain rib pattern alternatively to create the contrast heel and cuffs you will need 1 x ball of Pink Flamingo and 1x ball of Candyfloss.